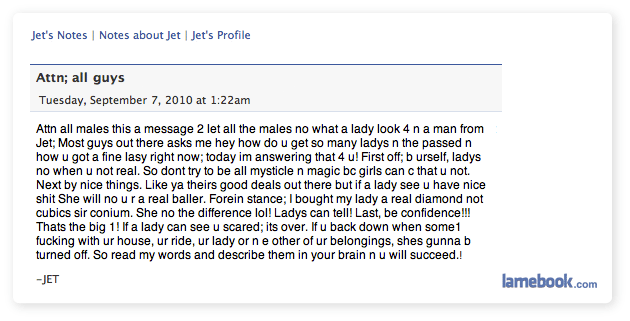 Am I really the only one who feels the need to comment on Jet’s brilliant grouping of “lad[ies]” with “other of ur belongings”? No freak-out for content today, guys?? ?